President Trump said he was surprised and saddened by allegations of domestic violence against a top aide who resigned this week. 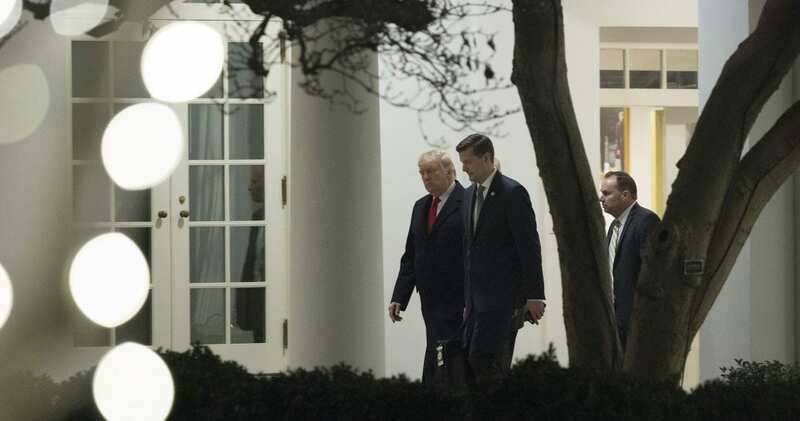 Trump praised Rob Porter’s work as White House staff secretary and said he hopes the former aide goes on to a successful career elsewhere. “We wish him well,” Trump told reporters during a hastily arranged photo opportunity in the Oval Office. “He says he’s innocent, and I think you have to remember that,” Trump said. At first, White House officials rallied around Porter, who described the allegations as false and “vile claims.” But their public support for Porter quickly evaporated, once a photo surfaced showing one of his ex-wives with a black eye. Trump said he was not aware of the claims before this week’s news reports. The president’s praise for Porter’s job performance drew a rebuke from former Vice President Joe Biden. Vice President Pence also seemed to draw a tougher line against the former staff secretary than Trump did, telling NBC’s Nightly News he was “appalled” by the allegations against Porter. “There’s no tolerance in this White House, and no place in America for domestic abuse,” Pence said in an interview with Lester Holt.